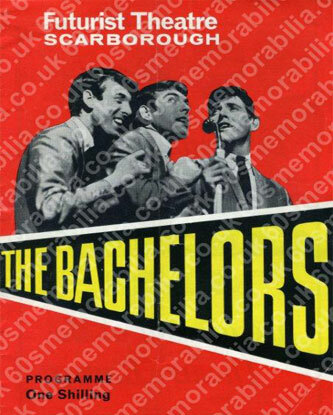 'The Bachelors' summer season in The Futurist Theatre, Scarborough, where we record our Irish Album, 'Under and Over' in the dressing rooms ! It's a tight squeeze, but it sounded great! 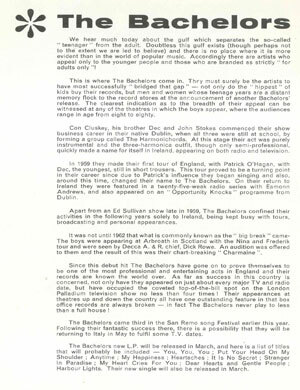 Decca wanted an Irish Album from 'The Bachelors' but they were too busy to travel to London, so the studio came to them! 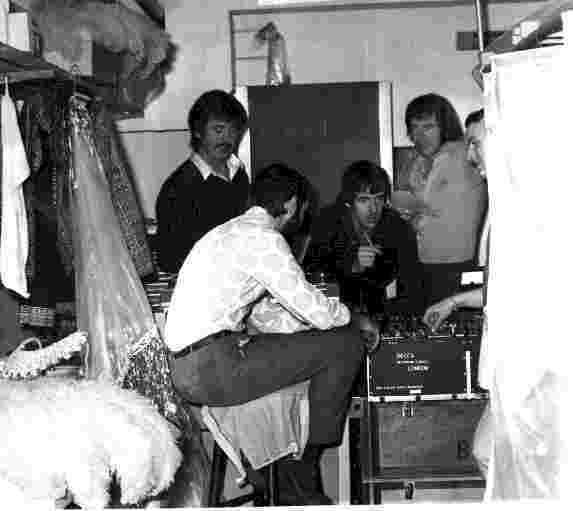 Sitting in different dressing rooms for 'separation' and fitted with earphones they recorded the back tracks, then put the voices on in another dressing room. 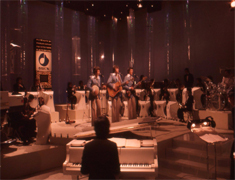 One track was performed live in the pub next door to the theatre! 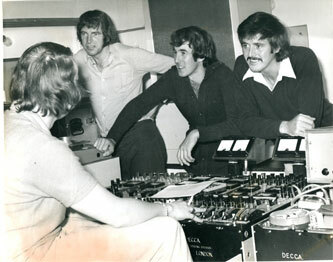 When other musicians were required they travelled to London to the Decca Studios in West Hampstead. 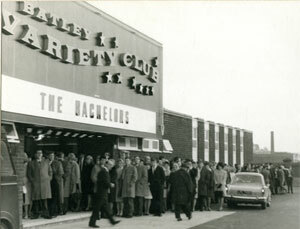 'The Bachelors' opening Batley Variety Club, 26/3/'67. 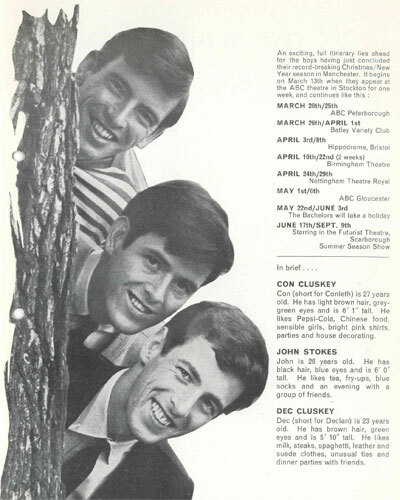 The club is still going strong, although it is now called 'The Batley Frontier Variety Club'. 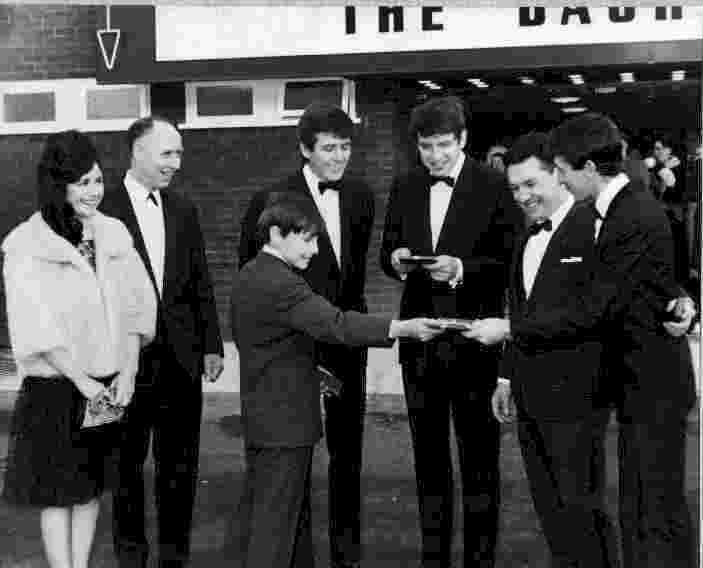 The Foundation Stone was on the right of the front door as you entered. 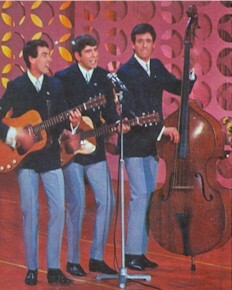 but went on to be a No.1 record in Italy. 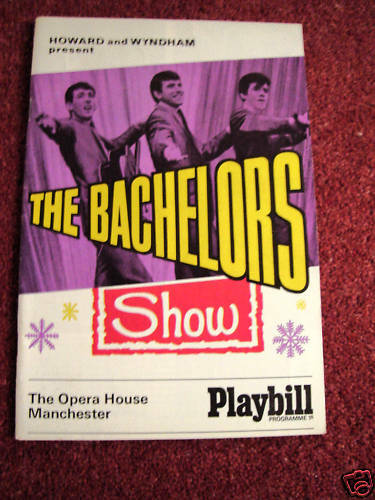 The Bachelors appeared at The Birmingham Hippodrome and spoke of their recent success at The San Remo Song Festival, and of their forthcoming album 'The Golden All Time Hits'.